Eat Your City: Denmark in a day (or 3!) 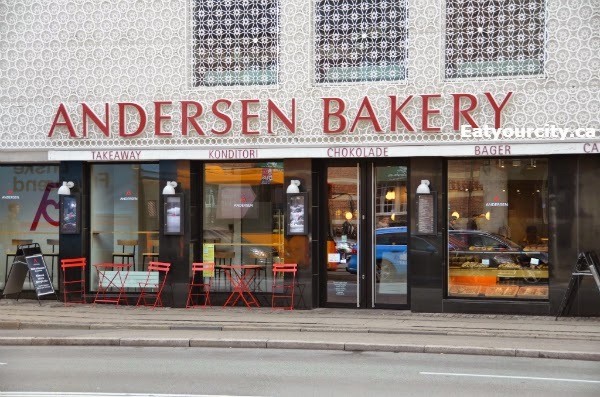 - Copenhagen - Andersen Bakery - Part 4! Denmark in a day (or 3!) 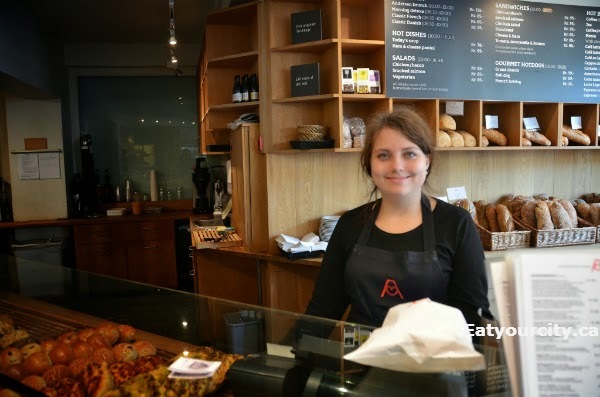 - Copenhagen - Andersen Bakery - Part 4! 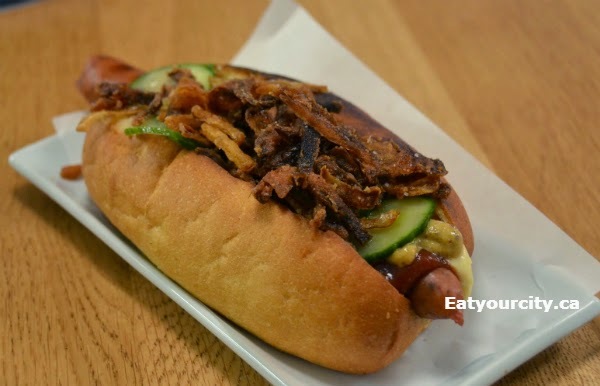 Posted by In our 5 part series that covered the few days we had eating and exploring Copenhagen, Denmark.. we covered in Part 1 - hotdogs, icecream and snacks, Part 2 - Smørrebrøds of Copenhagen - Aamann's and Restaurant Schønnemanns!, Part 3 Torvehallerne KBH Farmer's market and now... its Andersen Bakery - its noted for its traditional baked goods, and it doesn't hurt that it provides the sweets and desserts for the Michelin star restaurant attached to it - Nimb! Andersen bakery is on the outer edge of Tivoli park (Address: Bernstorffsgade 5, 1577 København V), and since it was a hop, skip and jump from the hotel, we noshed for brunch twice over during our time in Copenhagen. 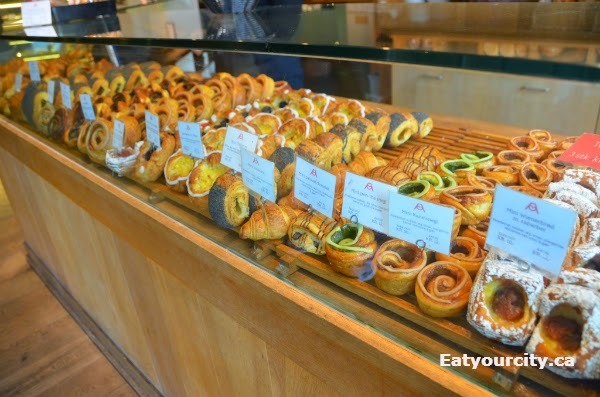 They are known for their traditional Danish breads and pastries, all led by Japanese baker Shunsuke Takaki. 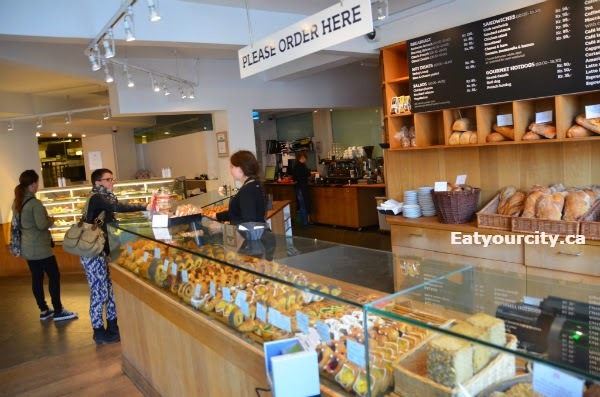 He first came to Copenhagen in 1959, and in 1962 he established the first bakery in Japan following original Danish recipes, and eventually moved back to open his dream bakery - in the heart of Copenhagen. We stopped in to pick up snacks on our last day in Copenhagen, and most of the shelves were empty - we were happy we got up somewhat early the two times we ate here when the various counters were full lol! Maybe this is the lengendary Shunsuke Takaki himself? There was so much choice and so little tummy room! So we stuck to a selection of pastries the first time, and some pastries and savories the second. 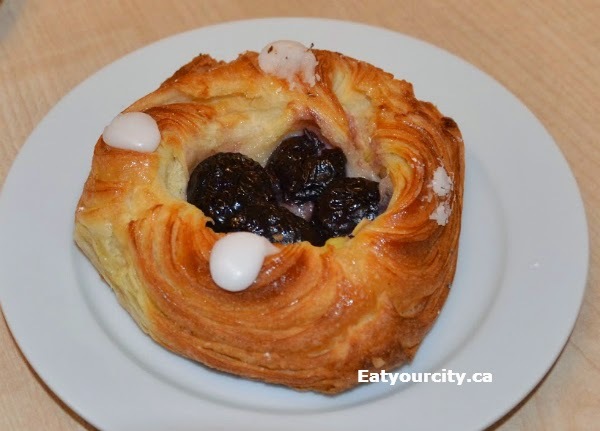 First up was the Spandauer m. kirsebær - a delicious pastry with cherries nestled on a bed of marzipan within a tender soft and slightly sweet fluffy pastry. 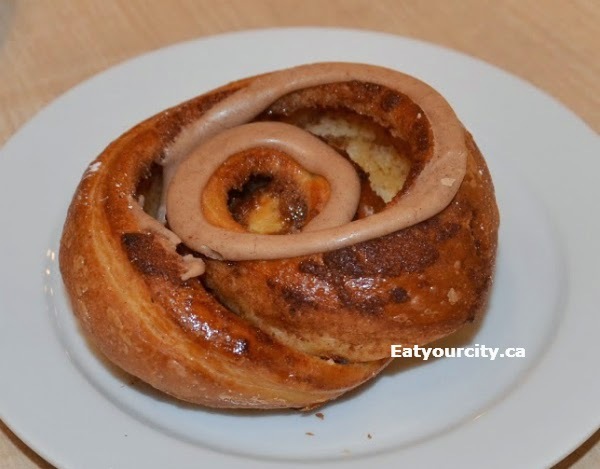 The Chokoladesnegl (chocolate snail) was is a puff pastry roll covered in chocolate, but we went with the traditional Kanetsnegle - a cinnamon roll made with puff pastry. Its a little drier and less sweet than the North American version, but it was loaded with plenty of cinnamon! 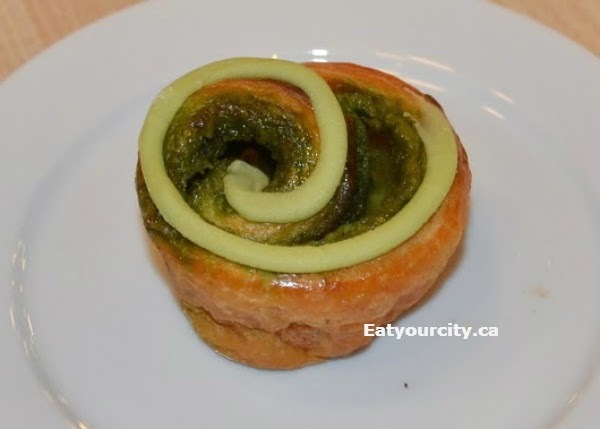 They had a green tea kanetsnegle - a nod to the baker's roots... and though it didn't have a lot of matcha tea flavor, we enjoyed it more than the traditional kanetsnegle. 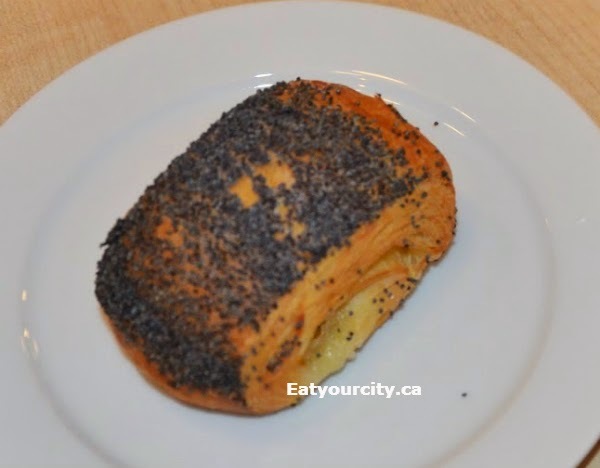 The Tebirkes is buttered dough folded over a marzipan spread and sprinkled with poppy seeds. 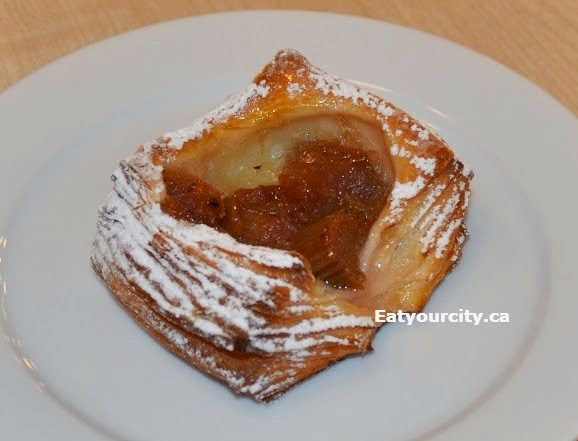 I enjoyed this pastry, while my boyfriend made the next one disappear! 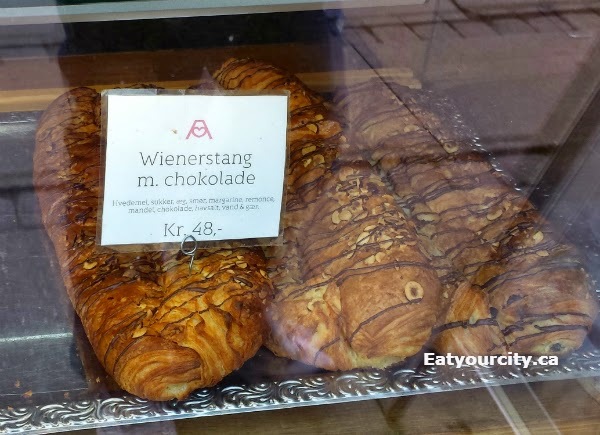 The rabarber wienerbrød - is a rhubard "Viennese bread" and it was so tasty, it disappeared like magic! 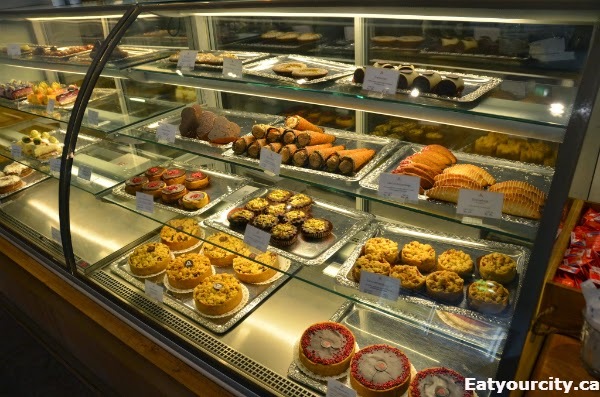 We were tempted to get a second one, but we were really full from trying so many pastries! 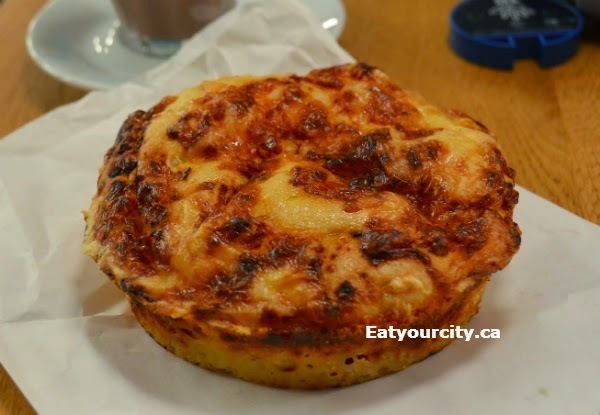 I can't recall what this cheese bread was called - it was nice and cheesey, though next time I'll see if they have one with sausage or bacon as it was missing a savory element that would have put it over the top. 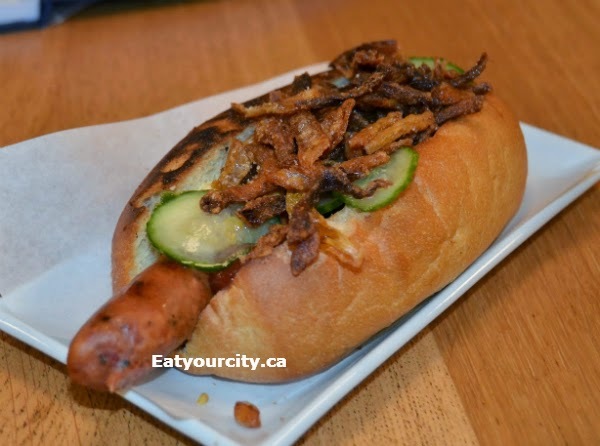 We were super excited to try their gourmet hotdogs.. and went with a Bull dog - wasabi/jalapeno sausage served on homemade bread, mustard, ketchup, remoulade, fried onions and pickled cucumbers. Sadly, there was next to no wasabi nor jalapeno flavor to the hotdog, the texture was on the mushy side, and the centre of the hot dog was cold. The toppings and bread was fine, but the hotdog itself was a real let down. 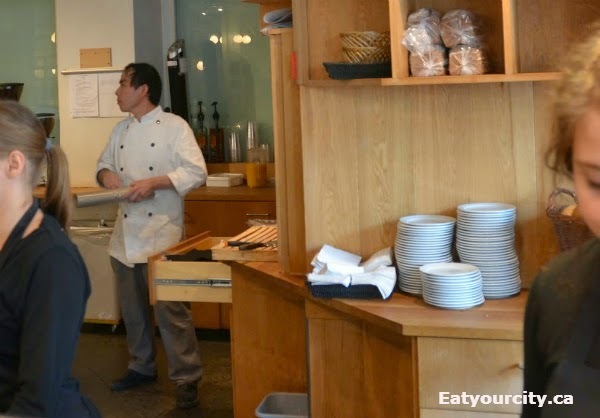 Their strength is definitely in their pastries and not their "gourmet hotdogs". 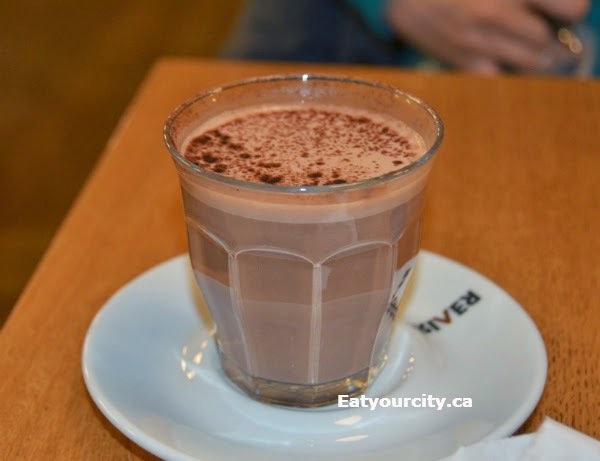 We washed all our meals down with some organic juices they had in their self serve coolers (no pic) and some run of the mill hot chocolate. Will definetely hit them up again to try their breads, cakes and try a Wienerstang m chocolade -an insanely tasty super large custard filled braided pastry the size of my arm my boyfriend and his family devoured the last time he visited (at a different bakery), but we didn't have tummy room to try this time around. And a shout out to this lovely lady who patiently explained what was in almost every pastry in the shop for us in English! Stay tuned Part 5 Delicious restaurants lining the Nyhavn canal!